After the global financial crisis in 2008, the world has begun looking to developing nations to show the way to high economic growth and development. Emerging economies, India and China for example, have become increasingly involved in influencing global economic policies and voicing their development concerns and priorities in various multilateral fora. These economies have benefited from increasing globalisation and the growing movement of goods and people between countries. Consequently, they are among the largest recipients of global remittances. Twenty-three countries, led by India and followed by China, the Philippines, Mexico, Pakistan and Nigeria, receive over 80% of global remittances. However, as a share of gross domestic product (GDP), the top five recipients are smaller nations: Haiti, the Kyrgyz Republic, Liberia, Nepal and Tajikistan. In these low- and middle-income countries, remittances have helped lift millions out of poverty and unemployment and enhanced their standard of living and human development. In this context, India’s case is no different. The positive impact of migration on economic growth and development through increased remittances is well established. The experience of Kerala, which receives remittances equalling 36.3% of its gross State domestic product, is testimony to this. India has witnessed sharp remittance growth since 1991. Remittances, which were valued at $2.1 billion in 1991, touched $70.4 billion in 2014. Since then, the value of remittances to India has seen a modest decline: $68.9 billion in 2015 and $62.7 billion in 2016. There was a slight improvement last year — $65.4 billion. However, in a world that is now witnessing a fractious debate on migration, considerable uncertainties about remittances remain. India receives about 56% of its remittances from migrants in West Asia, with the remainder from mainly North America and Europe. Rapid changes in the economy and the sociopolitical climate in West Asia have had an impact on remittances. Additionally, developments such as Brexit and the Trump presidency in the U.S. have further complicated matters. Simply put, the more a rich nation starts to rely on its own workforce and tightly controlled borders, the less a poorer nation can rely on remittances for its development needs and to achieve the sustainable development goals. While it was expected that remittances would recede after the recession in 2008, they barely did. However, the Arab Spring in 2010 and subsequent counter-revolutionary moves by states had an impact. The theme of nationalisation took over the Arab world. Along with declining oil prices and sluggish regional economies, especially in the Gulf Cooperation Council (GCC) countries, the regional governments decided to prioritise filling their workforce with their nationals. Among the six GCC countries, only the United Arab Emirates and Oman continue to maintain their erstwhile immigration policy. However, Oman began “Omanisation”, a policy aimed at replacing expatriate workers with trained Omani personnel, back in 1988. The other four, Bahrain, Kuwait, Qatar and Saudi Arabia, have tightened their immigration policies to appease increasingly restive youth, many of whom were unemployed and participated in protests during the Arab uprisings. In 2011, the Saudi government enacted “Saudisation”, officially known as Saudi Nationalisation Scheme or Nitaqat system in Arabic, with a view to reducing unemployment among Saudi nationals, with incentives being announced for companies and enterprises performing in accordance with this system. Governments in West Asia have been trying to reduce unemployment and “demographically engineer” the workforce whereby legal, social and political separations between nationals and non-nationals would shift. There were gains in many ways. Kuwait, for example, between 2016 and 2017, reduced unemployment from 16.5% to 1%. Saudi Arabia regularised five million irregular workers and cracked down on illegal migrants. There were also attempts to increase control over foreign workers, as opposed to sponsors, and curtail abuse by employers, though these efforts were timid. It is evident that the younger natives of West Asia, who are increasingly becoming educated, will replace migrants in the coming years, in turn leading to a reduction in remittances, especially to the South Asian and Southeast Asian regions. It is not unfair to say that without remittances, Kerala would have had to adopt an entirely different economic growth path. Since the 1970s, the Gulf region has attracted millions of Malayalis, with remittances amounting to over 36% of the State’s GDP. 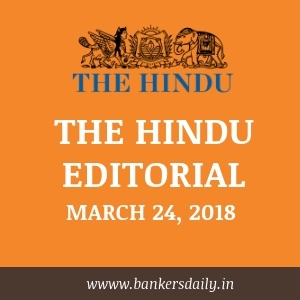 Kerala is unique in this sense that no other large State in India depends so much on remittances. This also makes the southern State the perfect setting to study the phenomenon of migration. The Kerala Migration Surveys, conducted by the Centre for Development Studies, have studied migration from Kerala since 1998. In 2016, for the first time in 20 years, the Malayali migrant community got smaller by 10% to 2.2 million. 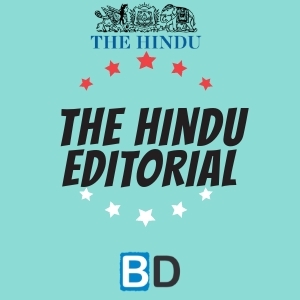 This was on account of nationalisation policies and because decades of migration had made Malayalis educated and skilled enough to aim for more specialised professions. Unskilled and semi-skilled migrants from Kerala were not only replaced by migrants from other Asian countries such as the Philippines and Nepal, but also by other Indian migrants from Bihar, Rajasthan and Uttar Pradesh. This 10% decrease in migration is expected to result in a similar decrease in remittances to the State. Remittances to Kerala exceeded ₹71,000 crore in 2014. A migrant supports three to four family members back home and a third of the population directly benefits through migration. Another third benefits indirectly through multiplier effects. Remittance flows to Kerala saw a sharp rise of over 40% between 2011-2014. Of late, this trend has reversed. If the State does not identify alternative means of employment and revenue generation for its labour force as well as returned emigrants, it will turn out to be problematic. Return emigrants account for 1.2 million of Kerala’s population. The State thus faces the huge challenge of reintegrating and rehabilitating them into the society and the economy. This demands innovative policies targeted at skilling, reskilling and educating both prospective and returned emigrants. This is not to say that lower migration and remittances will be a disaster for the State. If the government adopts measures to utilise local resources and create jobs, it might end up in a better position overall. This is because migration comes with a lot of social costs. A migrant worker might make more money, but (s)he also leaves a family behind. Women, children and the elderly who are left behind deal with issues such as loneliness, anxiety, depression and inadequate care. As mentioned earlier, another chunk of remittances is from North America and Europe. Europe is also the largest remittance-sending region in the world, surpassing even West Asia. The recent refugee crisis, the largest since World War II, has unsettled European economies, fuelling xenophobic and anti-immigration sentiments. Brexit and the presidency of Donald Trump in the U.S. are also expected to have a drastic impact on migration and the flow of remittances. Data from the U.K. show a large exodus of other Europeans. The popular effect of Mr. Trump’s stronger immigration policies and the temporary ban on immigrants from certain Muslim majority nations are conspicuous in the results of domestic elections and a surge in markets. It seems obvious that migration and remittances will take on a more prominent role in internal and international politics. While the latter part of the last century was commanded by liberal ideas on migration and open borders, the near future seems to be influenced by populist, right-wing ideas. This negative reaction to migration among developed countries is likely to spread. Therefore, it is imperative that developing nations that have relied on remittances formulate strategies to compensate for the restricted flow of remittances that is expected in the near future. 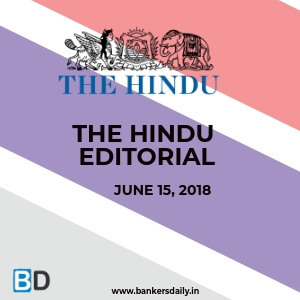 India must remember that with the rapid and large-scale economic and cultural changes in West Asia, Europe or the U.S., the future of emigration and remittances remains uncertain. The Kerala Migration Survey 2018 and the proposed India Migration Survey 2020 will explore these issues and evolve adequate policy responses. The Delhi government under Chief Minister Arvind Kejriwal has had a history of conflict and confrontation with the police and the bureaucracy. But even Mr. Kejriwal’s worst detractors would have found it hard to imagine that his Aam Aadmi Party MLAs would be accused of assaulting the Chief Secretary in his presence. The shocking incident, which is said to have occurred when Chief Secretary Anshu Prakash was summoned to Mr. Kejriwal’s residence at midnight, has led to the arrest of one AAP MLA and a display of solidarity within the bureaucracy, which has refused to attend any meeting called by the CM until he apologises and takes action against the MLAs. Versions of what transpired radically differ, including the reason why Mr. Prakash was called late in the night. While the AAP has described Mr. Prakash’s charge as ludicrous, the implication that it was a product of his fevered imagination and part of a larger political conspiracy has convinced few in the bureaucracy. The timing of the meeting and the presence of a large number of MLAs at the residence give rise to the suspicion that it may have been called to intimidate the Chief Secretary. It is well known that Mr. Kejriwal’s discomfiture with the bureaucracy is a result of having to deal with officers who report directly to the Lt. Governor, who is not bound to act on the aid and advice of his council of ministers. To feel that this is a restrictive administrative environment and seek greater powers for Delhi under the Constitution is one thing. But until Delhi is a full State, Mr. Kejriwal and his party would do well to understand that they have to work within the existing institutional arrangement. Mr. Kejriwal may have good reason to believe that the BJP, the AAP’s main rival, is attempting to stymie its attempts to govern Delhi effectively. The AAP has for long complained that the Centre is paralysing its executive functions through the Lt. Governor and that the bureaucracy is refusing to obey government orders. But the proper response to this is to keep pushing for the constitutional changes that will give Delhi full statehood rather than targeting police officers and civil servants. In the three years it has been in power in Delhi, the AAP government has positives to show in terms of governance, including ushering in greater accountability and transparency in its welfare programmes. In the long run, the party’s political future will depend more on how it governs Delhi and less on how aggressively it protests about its lack of administrative power. Both the Centre and the Delhi government must work together to see that the administration is not brought to a halt in the Union Territory. While the Centre should refrain from politically exploiting the issue, the AAP government must take a step back and assure the bureaucracy it will let officials work without fear of intimidation. Meaning: A meeting or medium where ideas and views on a particular issue can be exchanged. Meaning: A sum of money sent in payment or as a gift. Meaning: Evidence or proof of something. Meaning: (Of a group or organization) difficult to control; unruly. Meaning: Depend on with full trust or confidence. Meaning: Lacking energy or alertness. Meaning: Designate or treat (something) as being very or most important. Meaning: Denoting or relating to a person living outside their native country. Meaning: The action of coming to live permanently in a foreign country. Meaning: Pacify or placate (someone) by acceding to their demands. Meaning: Reduce in extent or quantity; impose a restriction on. Meaning: Showing a lack of courage or confidence; easily frightened. Meaning: Likely to happen at a future date. Meaning: A significant amount of something. Meaning: Having or showing a dislike of or prejudice against people from other countries. Meaning: A mass departure of people. Meaning: Attracting notice or attention. Meaning: A sudden large increase, typically a temporary one. Meaning: A system of government in which most of the important decisions are taken by state officials rather than by elected representatives. Meaning: A person who disparages someone or something. Meaning: Authoritatively call on (someone) to be present as a defendant or witness in a law court. Meaning: So foolish, unreasonable, or out of place as to be amusing. Meaning: A secret plan by a group to do something unlawful or harmful. Meaning: Frighten or overawe (someone), especially in order to make them do what one wants. Meaning: A feeling of unease or embarrassment; awkwardness. Meaning: Help, typically of a practical nature. Meaning: A person or thing competing with another for the same objective or for superiority in the same field of activity. Meaning: Prevent or hinder the progress of. Meaning: Stop (a system, place, or organization) from operating by causing disruption. Meaning: Cause or mark the start of something new. Meaning: Stop oneself from doing something. Meaning: Make use of (a situation) in a way considered unfair or underhand.